AMC makes purchasing physical and e-gift cards quick and easy. Read more about our convenient online ordering portal, and register your business now. 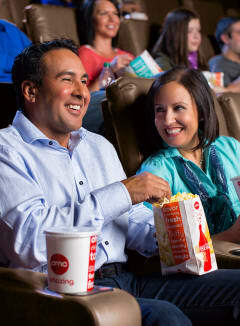 Say thank you to your employees, customers and partners with a new release at AMC. Our convenient online portal lets you order physical gift cards in bulk — with volume-based discounts — customize your gift amount, and personalize your message. The process is simple: After you register, we’ll review your business and your reason for making a corporate gift card purchase. This process typically takes two days. Once approved, we’ll send you login instructions to access the ordering portal. You can select any amount between $5–$200 for your e-gift cards, and we offer a variety of denominations for physical gift cards, with no minimum order! For quick and easy return ordering, store your payment details and shipping addresses for frequent physical card purchases. Physical gift cards can be shipped anywhere in the U.S. Delivery times vary based on your preferred delivery method, not including processing time. Please allow up to three business days for processing. From Hollywood blockbusters to indie breakouts, AMC has films for everyone. Register your company for our convenient online ordering portal today, and get your AMC gift cards in bulk.